What size of aquarium is good for layout making? A standard 60cm aquarium tank is easy to handle and good for planted aquarium beginners. 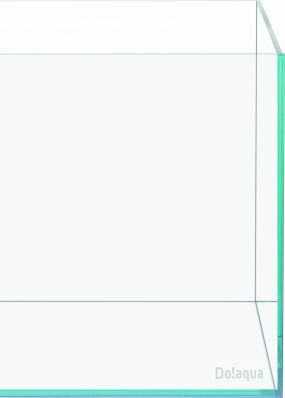 How does the aspect ratio of aquarium tank relate to the layout? Appropriate layout type varies depending on the aspect ratio of aquarium tank. The standard aspect ratio, such as that of W60×D30×H36 (cm) and W90×D45×H45 (cm) tank, is very stable and suitable for any type of layout. Panoramic aquarium tank such as W120×D45×H45 (cm) and W180×D60×H60 (cm) tanks are suitable for Iwagumi layout featuring large open space and driftwood layout created based on the wide composition. 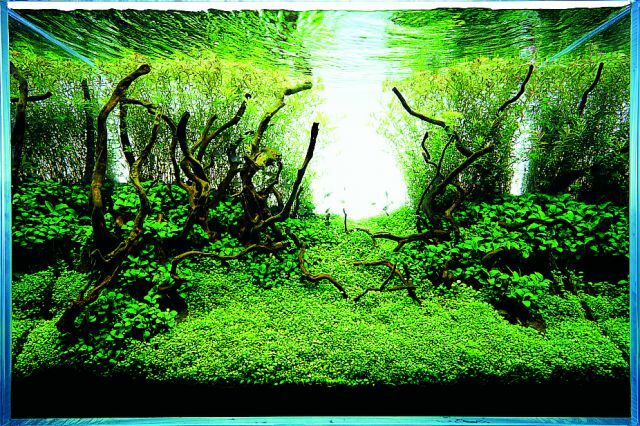 On the other hand, tall aquarium tanks, such as W90×D45×H60 (cm) tank, are suitable for dynamic layout having driftwood raised to a steep angle or Iwagumi layout with a standing large main stone (Oyaishi). 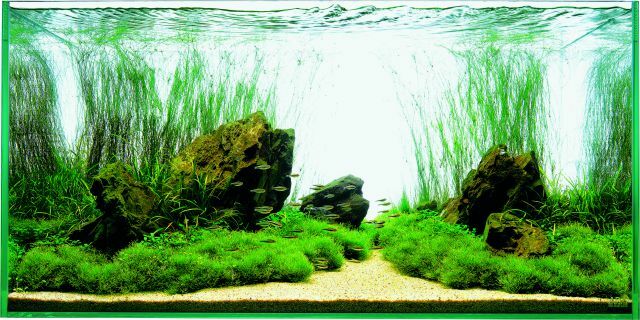 A panoramic aquarium tank is also suitable for wide layout evoking an image of extensive grassland. What are the difference between Cube Garden and Cube Glass? Do!Aqua Cube Glass and ADA Cube Garden have different shades of color. 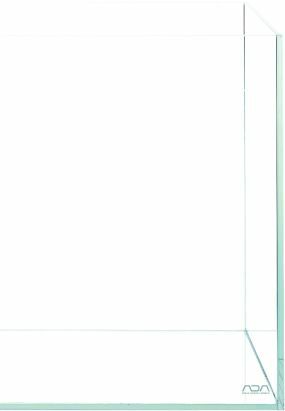 Do!Aqua Cube Glass is made of ordinary plate glass with a shade of turquoise, while ADA Cube Garden uses clear glass with almost no color. This color difference has an impact on how the aquascape looks, and ADA Cube Garden makes aquascape appear sharper and clearer. 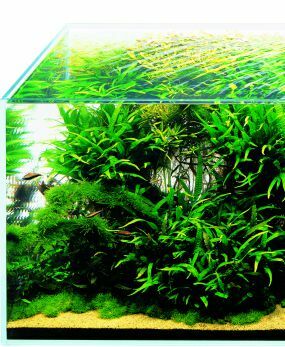 ADA Cube Garden with practically invisible silicon work was born out of the pursuit of an ideal aquarium tank for Nature Aquarium. 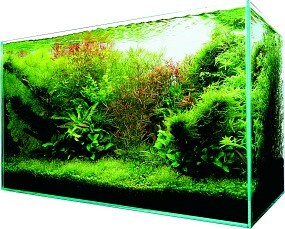 The concept of ADA Cube Garden is “an aquarium tank which appears like an aquascape elegantly cut into a cube shape”. Silicon work is practically invisible on both of the tanks. ADA Cube Garden has almost no color.